Brussels, Belgium. Home of the Waffle, Fries and One of Europe’s Most Beautiful Town Squares! 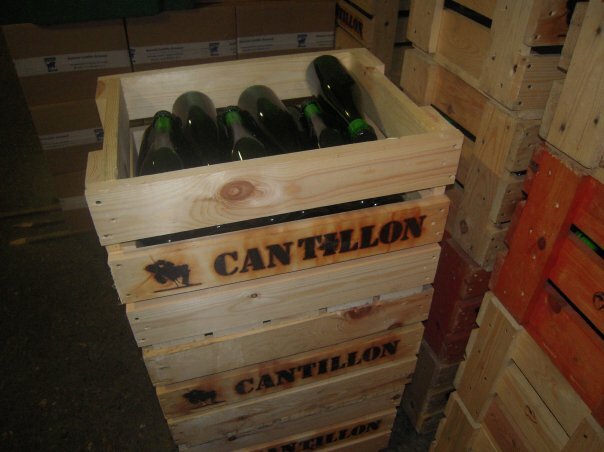 Belgium, that country Americans only associate with waffles and other Europeans, a fountain of a peeing little boy. Even though Brussels, the country’s capital, is also home to the capital of the European Union, it doesn’t get much play on being a popular tourist town. I don’t often hear “I’ve dreamed of visiting Brussels my whole life!” But trust me, if you haven’t, you are missing out! Our first year in Germany we lived 2 hours by car from Brussels. The city’s beautify and proximity to our new home made it our go to “let’s get out of town” weekend destination, much to the disbelief of our German friends who thought we were crazy to drive some where so far away just for the weekend. One of the cultural difference between Germans and Americans, our perception of how far is too far to drive and how long even “short” get-a-ways are. Our first trip to Brussels we did in just one day. I had moved to Germany 2 weeks prior and I was bursting at the seams to explore and see other countries now that we were there and everything was “so close.” We literally woke up that morning, in the snow, and decided that since it was the weekend and my husband actually had the day off, we needed to go somewhere. 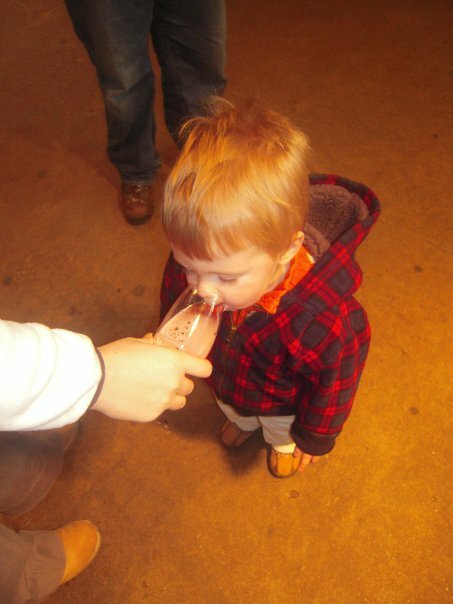 The small taste of fruity Belgium bier the server gave our son to taste. After our tour of the brewery we headed into the city center. Even with the gloomy and snowy January weather with the sun barely cracking threw, I almost lost my breath when we entered the square. The Grand Place (or Grote-Markt in Dutch) lives up to it’s name. We were surrounded by tall, detailed buildings, some painted with gold accents, with the clock tower of the Town Hall building reigning supreme over the square. It was what I imaged the rest of Europe to be like, each street doused with palace like building facades. However wrong I was about all of Europe looking this way, in Brussels, you can walk through the square and feel like you are royalty and that this is your private court yard and the hustle and bustle around you are simply your courtiers carrying about the business of the land on your behalf. The Grand-Place (Main Square) in Brussels, Belgium. 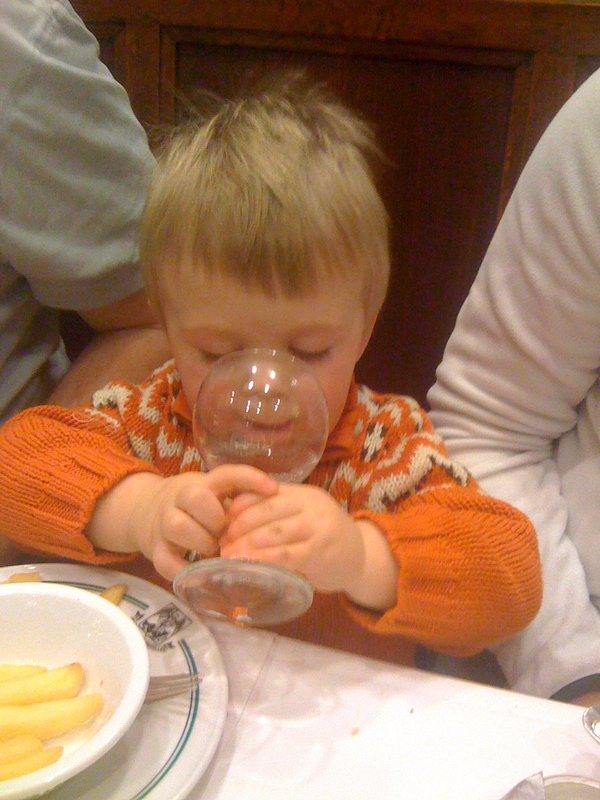 Learning to be a sophisticated little boy in a French restaurant in Brussels, Belgium. 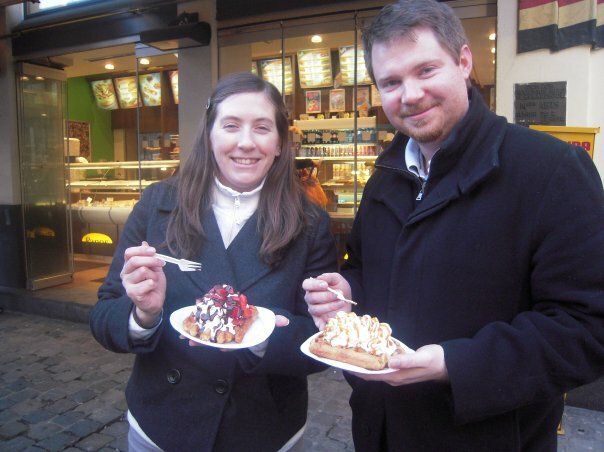 We wondered back to the town center for dessert, we HAD to get a waffle! Somehow you are supposed to eat all the piled high yumminess that is a Belgium waffle with an itsy bitsy tiny fork. I was willing to try, despite my Celiac and the risk of being sick for the next few days, I took the plunge right into the whip cream and ate the waffle. I did of course share with my older son. We lingered about the square as we finished our waffles before breaking out the map and seeing what else was near by. Beligum waffles, they do actually exist in the real Belgium. Just don’t expect syrup! I noticed the royal palace with a park that looked within walking distance so we headed that direction. The snowy park wasn’t exactly covered enough for a beautiful winter wonderland, but it provided enough sliding fun for my toddler with the palace providing a regal backdrop. As we were approaching the end of the day, and the temperature was starting to drop, we headed back. Had we ventured just a little further away from the palace, we would have found a nice playground, which we did visit on our next trip. We also did not make it over to The Atomium, from 1958 when Brussels hosted the World’s Fair. Paris got the Eiffel Tower, Seattle got the Space Needle, Brussels got The Atomium. While it is a tourist draw, we drove by it and sadly it seem like Seattle and Paris got the better deal for long term landmarks. 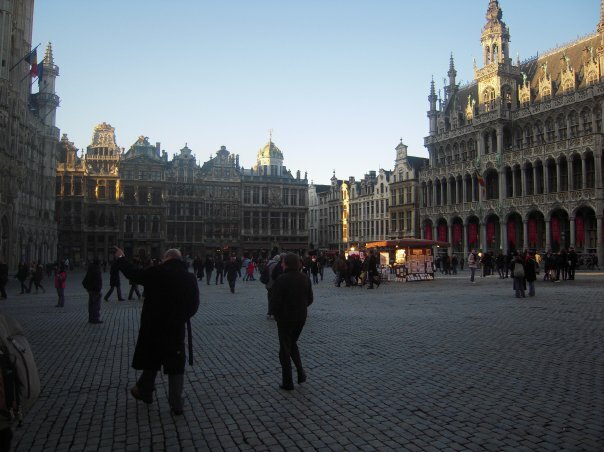 There is so much more to explore in Brussels than we were able to do in all of our trips. Mostly because each time we go we get mesmerized by the city center and just want to hang out in the beautiful scenery and chocolate shops. By far the best times to go is in August when they have the annual Flower Carpet in August, and in December for the Christmas markets. 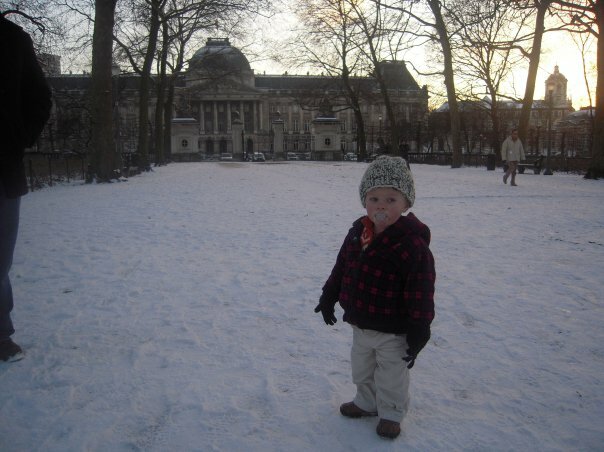 In the “Parc de Bruxelles”, in front of the Palace of Brussels.